← BC Gay and Lesbian Archives donated to the City of Vancouver Archives! The records held by the Archives were donated by the Dr. Sun Yat-Sen Garden Society in 1991, 1992, and 2011. They span from 1981-2009, with the majority from 1981-1991, and consist of approximately 1700 photographs, 22 videocassettes, 139 architectural drawings, 1 technical drawing and 2 maps. 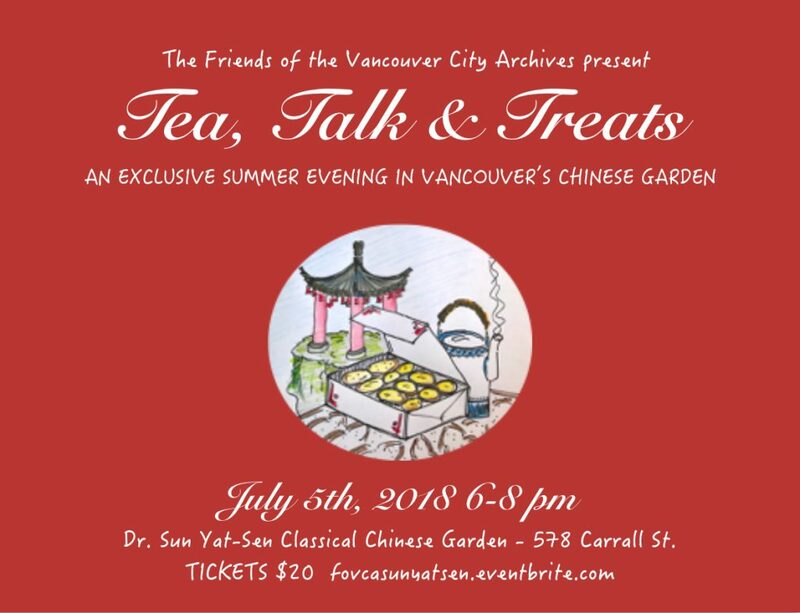 In 1981, the Society, whose mandate was set to act as a cross-cultural bridge for greater understanding of the Chinese culture by establishing and operating a classical Chinese garden in Vancouver’s Chinatown, was incorporated under British Columbia’s Society Act. The construction of the Garden began in 1984. Textual records of the Building Committee (series 3), and the Documentation Committee (series 4), document the building process of the Garden in words, while photographs (series 4), moving images (series 16) and the architectural drawings (series 19) document that process visually. The Garden was the first classical Chinese garden to be constructed outside of China. The level of cooperation between the Canadian and Chinese governments to build the Garden was relatively rare in the 1980s, adding to the special nature of the establishment of this Garden. 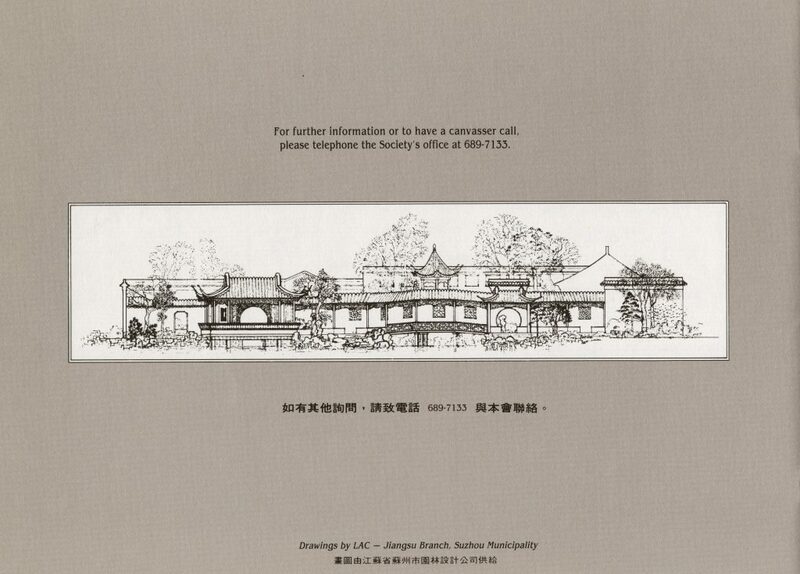 The plans were drawn up by the Suzhou Classical Garden Administration, who worked closely with the firm Joe Wai Architect/Don Vaughan Associates Landscape Architects. The Suzhou Classical Garden Administration worked to prepare the construction materials that were imported from China, and also sent Chinese artisans to build the garden. 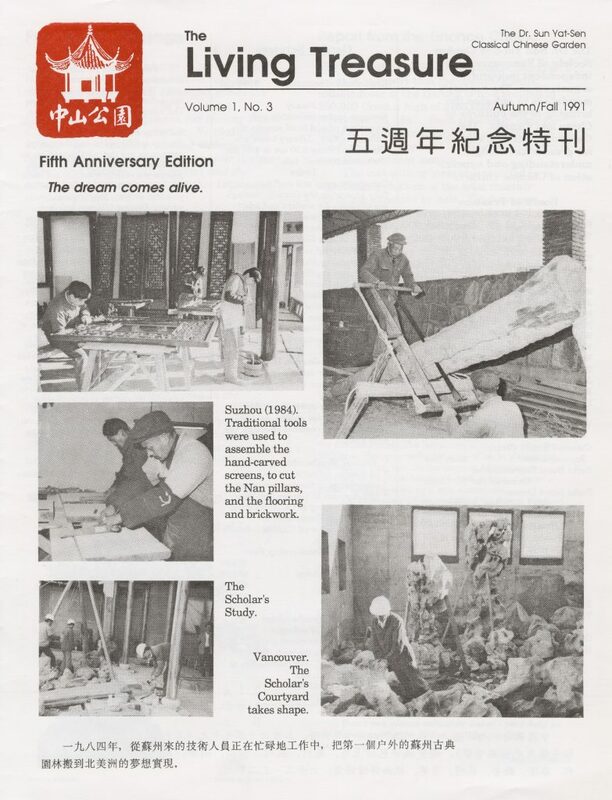 The artisans used ancient methods and tools, with the exception of the plastic hard hats, which they were required to wear by the Workers’ Compensation Board, as highlighted in the 1987 production of People Will Talk. Joe Wai and Don Vaughan were responsible for coordinating the work and overseeing the design and construction of the surrounding park. Records in the Dr. Sun Yat-Sen Garden Society fonds also include news clipping footage from the official opening of the Garden in April 1986, just prior to the start of Expo 86. Other series that make up the fonds consist of minutes, reports, and correspondence relating to the various committees that oversee the running of the garden. Some of these committees include the Administration Committee (series 1), Board of Trustees (series 2), Education Committee (series 5), and Finance Committee (series 7). 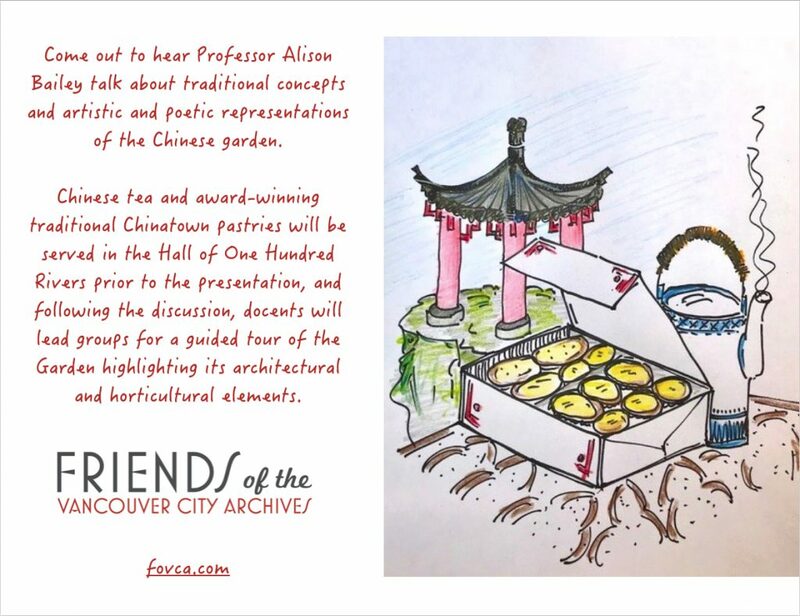 The evening with Professor Alison Bailey at the Sun Yat-Sen Classical Chinese Garden on July 5th, promises to be informative and interesting. We hope to see you there. Tickets are on sale now. This entry was posted in Holdings, Public Programming and tagged Chinatown, Chinese, Friends of the Archives. Bookmark the permalink. We are looking for an illustrator for six children’s picture books who can capture the spirit of the Chinese culture. These six stories are all inspired from a recent four-month tai-chi learning in Wuhan, China, a city of ten million.